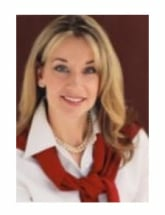 The founder of our law firm, Victoria Hardin, has a background in teaching. As such, she is especially in tune with the needs of children who are involved in the cases that come through her office. In every case, she applies the same meticulous approach: She gets to know clients, their circumstances and their concerns. This is the foundation from which she builds a legal strategy and is the reason she is successful at negotiating fair settlements. As a former prosecutor, Ms. Hardin is also fluent in the court system. Our track record of favorable results is part of the reason why we hold honors including an Avvo "Superb" rating, being named a Super Lawyer, being listed in the American Institute of Family Law Attorneys' 10 Best Attorneys and earning the highest peer rating possible of AV Preeminent* from Martindale-Hubbell. Hardin Law Firm PLLC accepts credit cards. We take cases from Fort Bragg, Stedman, Hope Mills, Godwin and Spring Lake and throughout Cumberland County.